Russian Foreign Minister Sergei Lavrov waits for a meeting with US Secretary of State John Kerry in Switzerland March 29, 2015. 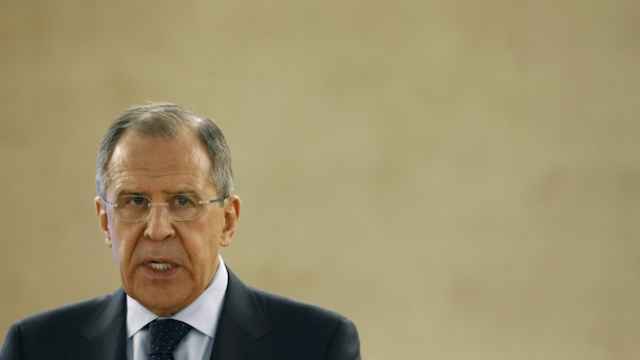 Both sides in the conflict in Ukraine could pull back weapons under 100mm caliber from the front line in a bid to boost confidence in a cease-fire, Russian Foreign Minister Sergei Lavrov said Saturday. 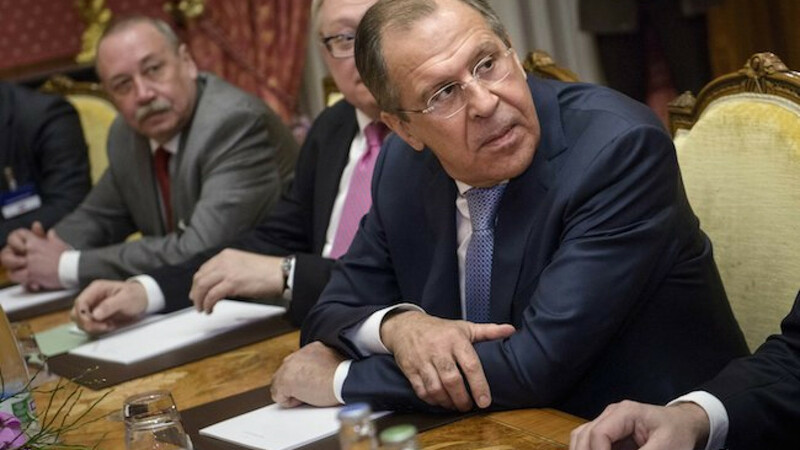 Lavrov said there was a common aim for a cease-fire in the Donetsk and Luhansk regions agreed in Minsk in February to hold indefinitely, although there have been some violations. 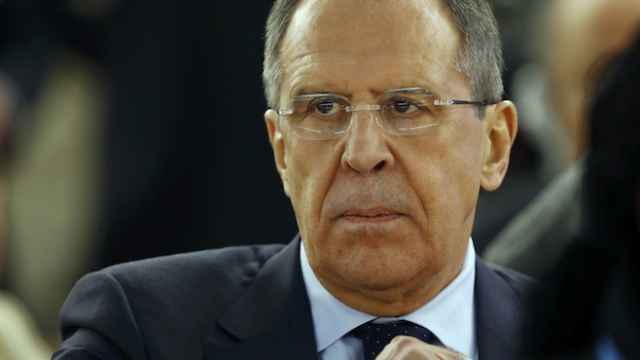 Lavrov said parties involved in the conflict as well as the Organization for Security and Cooperation in Europe were discussing what could be done on the top of the Minsk agreement which, among other measures, involved the pullback of weapons with caliber over 100mm, including large artillery, heavy mortar and powerful rocket systems. 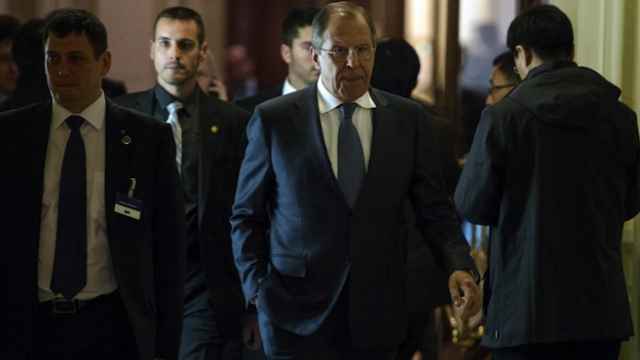 "It is necessary to monitor keeping mainly the military part of the Minsk agreements....There is a possibility to pull back troops with caliber under 100mm," Lavrov said. "We will try to help the sides to reach such an agreement, which would increase mutual confidence," Lavrov told a news conference during a visit to Slovakia. 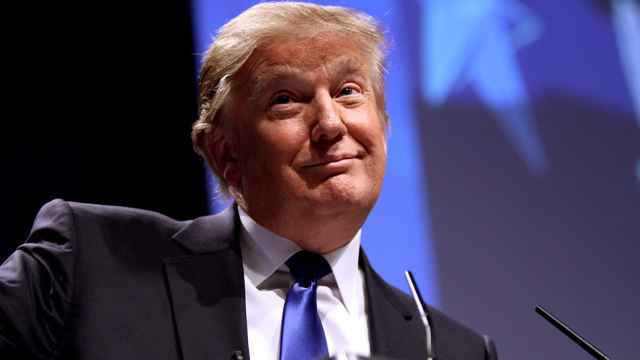 His remarks echoed comments by a Kiev official last week that weapons not covered by the Minsk agreements, such as tanks and 80mm mortar and other weapons of up to 100mm caliber may be pulled back. He criticized a Ukrainian law on the status of eastern Ukraine which he said went in the opposite direction than the Minsk cease-fire agreements. Ukraine's parliament voted on in March to offer limited self-rule to pro-Russian rebels in the east. But Kiev's insistence that the law should come into force only when elections are held in the eastern territories under Ukrainian jurisdiction drew immediate criticism from Russia. Asked about the rights of Crimea Tatars after Russia's annexation of Crimea last year Lavrov said they had full rights to use their language and were represented in power structures.